Grab your mats and come celebrate National Pilates Day!!! 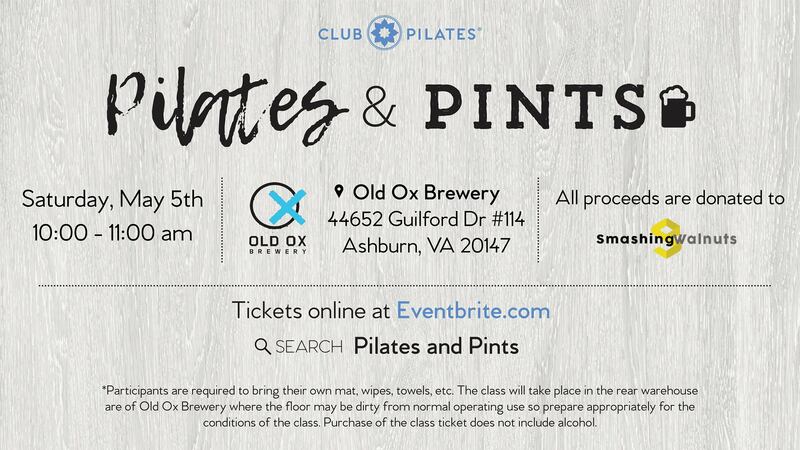 Enjoy a one-hour mat Pilates class at Old Ox Brewery hosted by Club Pilates Ashburn. After the class stick around and grab yourself a delicious pint of beer! Old Ox will be releasing a new beer for Cinco de Mayo and you will get the first chance to try it out after the class! All proceeds will be donated to Smashing Walnuts which is a non-profit cracking the cure for childhood brain cancer.